No woman can resist him. . .
Evelyn knows all about the reckless rogue’s shocking reputation and she wants nothing to do with him. She may be looking for a husband, but Martin is certainly not a candidate. The smoldering looks he sends her way, however, are a different matter entirely. She suspects there is great passion to be had if she’d throw caution to the wind and surrender to this scoundrel . . . but dare she risk her heart? And will Martin, who hides a most tormented past, find true love at last? Lord Martin Langdon has great pride in his scandalous reputation that he has created for himself. Now he is a boat racer, and a competant and talented one at that, and now the race is on for who will win Evelyn Wheaton, a widow, just come out of mouring, and looking for marriage and a family. So Martin pursues the beautiful widow Evelyn, because part of him can’t stand to see his rival winning the hand of her, because on the outside she seems prim, cool and proper, however he is determined to break down that barrier and find a passionate woman with dreams and desires that he plans to unravel, however he never expected to fall in love while he was doing it, or to find that she has found joy and love in his embrace and never wanting to let go, despite the pain that holds Langdon back from racing toward the greatest happiness he would ever find….in Evelyn’s arms. Martin Langdon, when he a boy rescued Evelyn from the icy lake, but never received a thank you from the cool and proper Evelyn. When they were teenager Evelyn caught him being the rascal he was, pursuing anything that was open and in skirts, however now ten years later he has changed. Martin has suffered a great pain, that he has yet to grieve for. Now he is a racer, wrecked two boats that his brother bought for him, seeming to be aloof about life, however Martin is a deep and passionate man, and there is only one person that bring down his fake barriers and to help him feel once more. Evelyn Wheaton, growing up admired the young boy that rescued her and saved her life, but then she catches him in bed with a maid, and her closest friend with a broken heart, and remains cool and above him, for she knows she can’t afford to get hurt, because she has yet to feel love or happiness in her young life. Having to guard her heart, based on her father’s poor treament of her, she has had to do everything by duty, but now a widow and out of mourning, she desires for love and a family, not knowing that she truly desires is passion and a vibrancy to live life as fully as she possibly can, and have no regrets. Surrender To A Scoundrel is the sixth installment in the American Heiress Series that Julianne Maclean has written. I have to say that from the first to last page I was entranced by this romantic story that takes us back to the late 1800’s in England. Its about a story of two young people that care for each other without fully realizing that they are destined for each other, through a twist of fate. Both the hero and heroine in this story have suffered some version of pain and suffering in their lives, and only when they come to each other and find love. 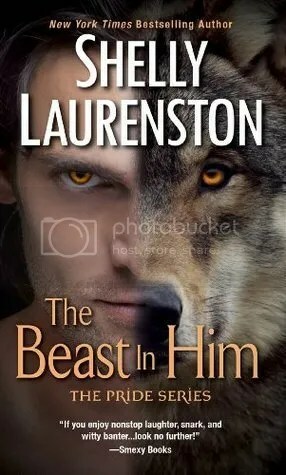 I found the characters of this story to be endearing, the plot to be filled with one adventure after another, and this author has such a talent for writing memorable romantic fiction. 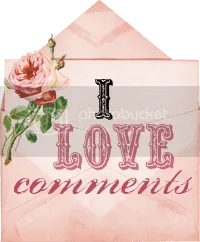 Come back to Cherry Mischievous – WW28 and give us the url of your post (in a comment at a WW28 post) so that other WW28 readers can find your WW28 offering. The highlander not only ignored her command, he sat back in the chair, stretching his booted legs bfore him. The muscles in his tanned face relaxed, one corner of his mouth quirking upward insolently. The rogue even had the nerve to look bored. Rita, a former stunt woman, can’t believe she signed up to be a female Navy SEAL. She needed the signup money to pay her mother’s medical bills. Steven, a fierce Viking warrior is depressed over the “death” of his brother Thorfinn. Yep, even Vikings get the blues. Rita can’t believe she’s been tossed back in time to the tenth century wearing a head-to-toe wetsuit and flippers with her face cammied up. Steven can’t believe the gods have sent him a fish woman to ease his woes. Not a beautiful mermaid, but an ugly-as-death fish. How dare the brute put her in a cage! How dare the wench teach his people line dancing! Love and laughter guaranteed in this trip down Memory Lane…uh Fjord. A mere whisper of the name “Gentleman James” sends chills throughout the ton (and thrills the ladies who have heard rumors of his amorous exploits). But the dashing brigand never dreamed that the passing of the father he never knew would leave him with a title, a fortune…and a mission. Considered unmarriageable at twenty-five, Lady Elizabeth has the perfect life, happily snuggled among her beloved books while caring for her curmudgeonly grandfather. Or so she thinks until she meets Christian Llevanth, the dark and mysterious Viscount Westerville, and discovers the delicious ache of desire. Elizabeth finds herself longing for more — more romance, more excitement, and definitely more passion. But when does “more” become “too much”? Lady Elizabeth, at twenty five years of age, has yet to find herself a husband. Beth is content to live in the country with her grandfather, and among her roses and beloved books. Then her grandfather insists that she has a season in London, so she can find a husband. 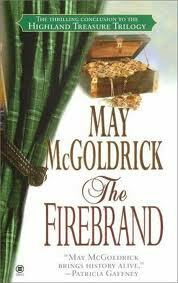 Beth doesn’t want a husband, knowing that the only reason that she has any suitors is because of her large dowry that her grandfather has bestowed upon her, but then she meets Christian Llevanth, the Viscount Westerville, where rumors fly about him. Christian intrigues her, and Beth finds herself looking forward to their meets, and despite the fact that she isn’t looking for a husband, she longs for his kisses, that throw all of her logic and reason out of the window. But there is so much more to Christian than meets the eye, especially when she figures out that he is looking into her grandfather, and knows that she must find out what he wants to know so badly about her grandfather, but will it destroy what they feel for one another? Christian Llevanth, even though has inherited the title of Viscount, was definitely never raised in society. He used to be a highwayman, a dashing rake that the ladies swooned over. But there is alot more to Christian than his scandalous past, and his title as “Viscount”. Christian loved his mother dearly, and hated his father, but he wants to find the truth behind his mother’s death, who was a innocent bystander, and didn’t deserve the kind of end fate dished out to her, so Christian is determined to find out the truth, and he knows that Beth’s grandfather is behind it somehow. However he never expected that it would be so difficult to get through Beth, to get to her grandfather, she is certainly a challenge he never expected, and one that he wishes was in his bed. Lady Elizabeth, has always wanted a serene life, out in the countryside, with her grandfather, and her books and garden. So when she hears that her grandfather insists on her going to London for a season, she does her best to persuade him otherwise, but unfortunately is unsuccessful. Therefore she comes up with a plan to keep all the men at bay. But then she comes across Christian, whose touch ignites her senses, and overthrows all her plans out the window for a long life on her own. Elizabeth is independent, and loves nature and being on her own, and is content to be a spinster, until she meets Christian, and now everything changes for her, especially when she figures out that he has plans for her grandfather, and Beth is determined to make sure he doesn’t get what he is after. Her Officer And Gentleman is the sequel to Her Master and Commander, and I have yet to read the first one, but it turns out that I didn’t need to, although after reading this one, that’s next on my list for Karen Hawkins, that for sure. Her Officer and Gentleman, takes place in England, the Regency period. This is part of a duo series called “Just Ask Reeves” Reeves is their butler, and serves both brothers, which is what these two books are about. I have to be honest I did enjoy reading this book, but it took a little while to get into, and I didn’t really get into it, until almost halfway through the book. 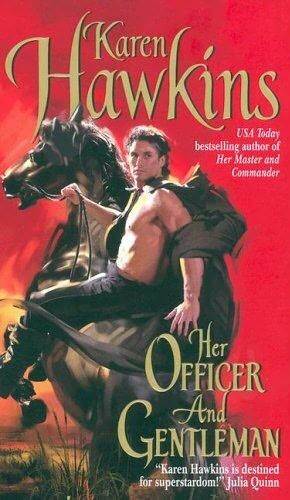 I have always loved reading from Karen Hawkins, however this is probably one of my least favorite of hers, even though it was a great historical romance, and had some good attributes about it, but it just didn’t click all the way for me. But what I did love about this story is the mystery and romance throughout the story. I will say that I did cry toward the end though, definitely had a emotional tie to the story, that really moved me, I just love the tender romantic endings. Jolie Watkins, who is a psychic, lives in a shop with her cat and her best friend, in Los Angeles. . But then she has a certain customer do a walk-in, a Rand Balfour, who is a warlock- a male witch, and a very powerful one at that. Then Jolie see’s a ghost, which has never happened to her before, and then later finds out that Rand sent the ghost to her, to see her abilities, because he needs her help, in finding out who killed Jack (the ghost). So when she takes her friend, she goes with Rand, to help find the killer, however not realizing she not only finds out who kills him, but brings him back to life, needless to say Jolie is shocked that she is able to do such a thing. And despite the certain spark that comes to life between Jolie and Rand, Rand sends Jolie home, hoping that the magical world won’t find her, but never realizing what he started. When Jolie gets invited to a special party by Bella, Jack’s daughter, and also a powerful witch, and one you don’t want to ever cross, Jolie goes hoping to see Rand once more, never realizing that her life is about to change forever, and she is taken on a adventure of a lifetime, where love and magic exists, where she goes on a journey of discovery, where she is in the middle of a battle, that she must win if she is to survive. Rand Balfour, a male witch, has lived for a very long time, and in that time has never found love for himself. But when he needs Jolie to help him on a certain job, he never realized how his life would change once she entered his life, and how much he would fight to keep her by his side. Rand is one of those kind of hero’s that all women all over the world, wished they had at their side. He is powerful, and has a good heart, handsome beyond belief, and cares deeply for that one woman that has changed his life. The type that would willingly die for her. Jolie Wilkins, not knowing that she is a witch, believes herself to be a psychic. She lives in Los Angeles and her cat, and her best friend Christa. Then she starts seeing a ghost, and meets Rand Balfour, a warlock. When she agrees on doing a job for him, and in return gets money that will certainly help her make ends meet, she agrees, not believing at first what powers she truly has within her. Jolie doubts herself and her abilities, not believing that she is any of the things that she knows Rand see’s in her. Then her world gets turned upside down, when her life changes forever in one night when she goes to a masquerade dance, knowing that all she wants is to see Rand again, but never realizing that attending that one dance, she can never go back to her old life, and where she will be put in the middle of a war. 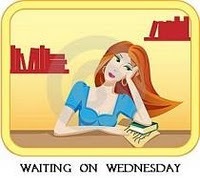 But this heroine will find inner strength and power throughout her journey in this book. I was requested by this author H.P. 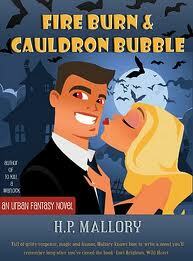 Mallory to review Fire Burn and Cauldron Bubble, and I am so glad that she did. I just loved this book, and once I got into the story, I couldn’t put it down. 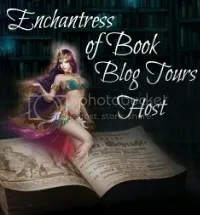 This was such a wonderful story, and I found the characters to be engaging and the plot riveting and full of adventure, romance, wit, and danger. One of the things that I loved about this book, was that it was full of surprises that I never expected. It was truly a delightful read, and I am looking forward to reading more from this author. This is definitely at the top of my list of Urban Fantasy!